These two free patterns for string art are suitable for beginner and advanced-level artists, with both free-form components and step-by-step pattern directions. 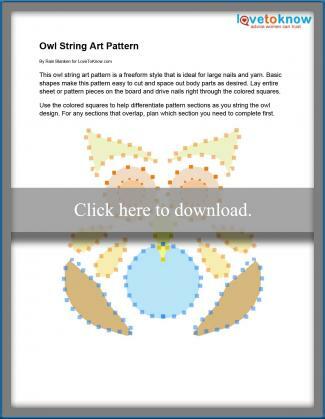 Each pattern includes instructions and tips to make the most of your art. 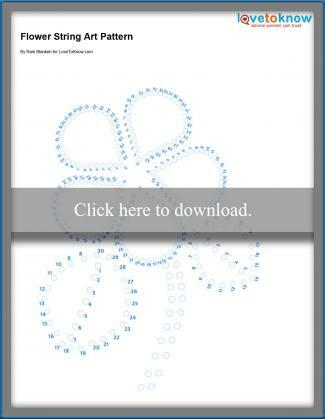 To download the patterns, click on the pattern image you would like to try to open the Adobe printable file. Located above, the owl string art pattern is a free-form pattern with simple shapes. You can spread them out or duplicate them to create a larger design. This flower string art mixes free-form string art with a structured pattern to blend mathematical precision with artistic chaos. It is best used with small nails or pins and embroidery floss. Each string art pattern is the size of an 8.5 by 11-inch piece of paper for easy printing. Select the Print Preview option for your printer to make sure the design is the correct size before printing. Once printed, lay the entire pattern sheet on your wood or corkboard and set nails or pins right into the pattern where indicated. After all the pins are in the board, leave the pattern in place during stringing so you can easily follow the pin directions. After your string art is finished, carefully rip away the pattern, tearing small pieces at a time to avoid disruption of the pins. 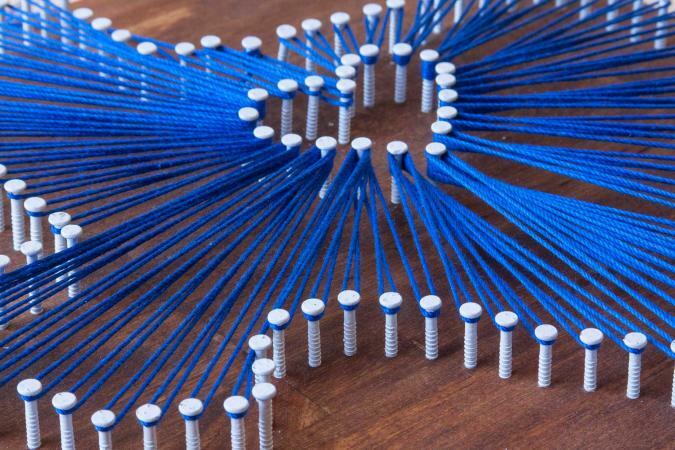 String art lends a vibrant touch of craft, blending hardware like nails and wood with delicately strung floss and yarn. You can swap and change colors and methods depending on your preferences to create new works of art from the same pattern.